MOHS surgery also referred to as MOHS micrographic surgery, is a surgical technique used by doctors to treat certain skin cancers. This surgery is an improvement to local standard excision. The procedure involves removing cancer-containing skin one at a time to examine it carefully under a microscope until the cancer is gone. Simply put, MOHS surgery decreases the need for additional treatment or surgery and increases the chance of a cure. Are located in body parts that need to preserve as much healthy tissues as possible like around the eyes, mouth, nose and ears. MOHS surgery is usually done in an office or operating room with a nearby laboratory. The doctor will numb the skin using a local anaesthetic injection. Examining the removed visible cancer specimen may take around 45 to 60 minutes. After the procedure, you will sit in the recovery area. A MOHS map of the removed specimen is drawn, and the microscope check will show if all cancer has been removed. If not, the diagram will show the dermatologist precisely where she or he needs to take further specimens. Halt taking certain supplements or medications – let the surgeon know of any supplements your taking. Set aside the whole day for the surgery – the procedure generally takes 4 hours, but it is hard to predict how long yours will take. Bring something, like a magazine or book, to aid pass time – you have to expect some waiting time. 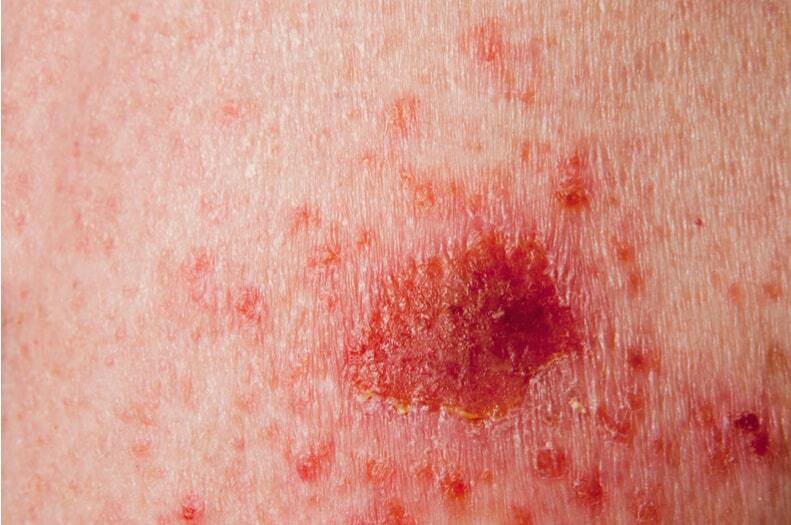 Wound infection – though the risk is generally low. Permanent or temporary weakness of the surgical area. Permanent or temporary numbness surrounding the surgical area. Previous PostPrevious How Long Will it Take to See Results from Laser Hair Removal? Next PostNext What is Fractional Laser Resurfacing Treatment?